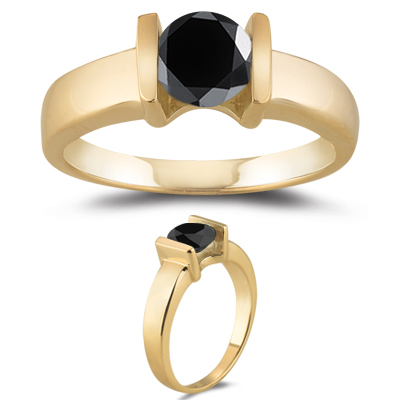 1.05 Cts Black Diamond Solitaire Ring in 14K Yellow Gold . This stylish Black Diamond Solitaire Ring showcases an AA quality Black Diamond channel set in 14K Yellow Gold. Approximate Black Diamond Weight: 1.05 Carats. Declare your love with this solitaire ring.